Our bikes are ridden harder, faster and further to give the most reliable tests you will find. Day two at Motorcycle Live was one for the race fans as stars of track and road racing flocked to the NEC to entertain the crowds. British MotoGP contender Cal Crutchow and World Superbike rider Leon Haslam returned to the show for a second day, joined by Castrol Honda SBK star Jonathan Rea and Isle of Man TT racer Guy Martin. BBC star and fan favourite Martin whipped the crowds into a frenzy on the Suzuki stand as he appeared for an autograph signing and meet and greet, while Rea made dreams come true by helping youngsters get to grips with two wheels at My First Honda Licence. At 12.30, the crowds gathered at the Blackhorse Stage for the chance to get hold of some of the one-of-a-kind racing memorabilia on offer in the Riders for Health Auction supported by Arai. This year’s lots included a VIP trip to the Day of Champions at the 2012 Silverstone MotoGP and a set of Alvaro Bautista’s REV’IT leathers. 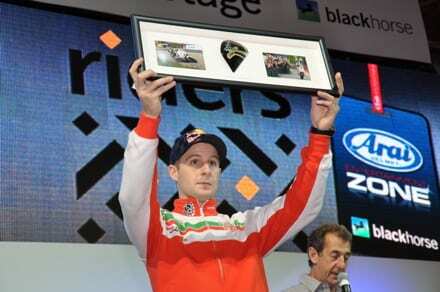 The auction raised over £4,000 for the Riders for Health charity. With autographs and memorabilia in the bag, visitors headed to the manufacturer stands around The NEC to see all the world’s leading race machines on display. The brave could then climb aboard the Silverstone simulator and attempt to beat the lap times set by various racing stars around the famous circuit. A full listing of riders attending the show can be found here. The ticket price for Motorcycle Live 2011 is completely all-inclusive, meaning visitors can enjoy everything the show has to offer at no extra cost. Tickets are £16 in advance for adults, £10 for seniors, £6 for children aged 6-16 and kids 5 and underaccompanied by a paying adult go free. Visit the Motorcycle Live website or call 0844 5812345. For the lastest news and updates, visit facebook.com/motorcyclelive or follow @motorcyclelive on Twitter. 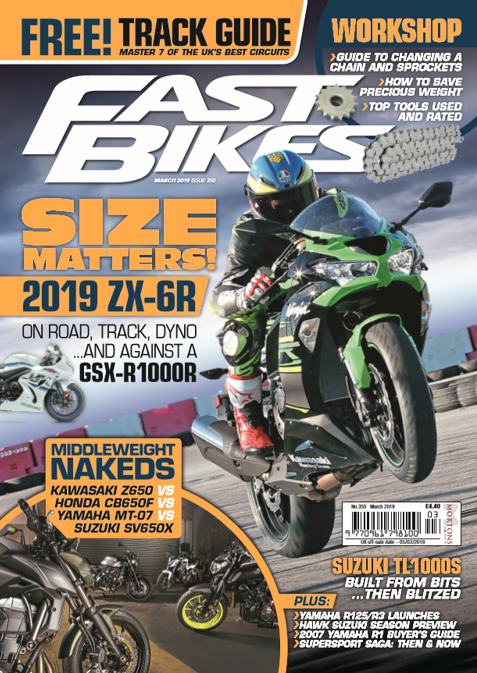 MARCH 2019 ISSUE, OUT NOW!